Went 2-2 with a 2.11 ERA (9 ER/38.1 IP) and converted 16-of-18 save chances in 39 games ... Missed 63 games due to a pair of trips to the disabled list for right shoulder inflammation…First missed eight games from 6/21-7/3, before a 55-game spell from 7/14-9/14 ... The 16 saves established a new career high… Since assuming the primary closer role for Atlanta on 7/30/17, has converted 91% (29-of-32) of his save chances ... Teamed with A.J. Minter, who converted 15 saves for the Braves… Since the save became an official stat in 1969, this marked just the second time the Braves had two different players record 15 saves…RHP Greg McMichael had 19 and LHP Mike Stanton had 27 in 1993 ... Just 13 of his 39 appearances on the season were clean outings in which he did not allow a baserunner…Tossed a clean inning in just three of his 18 save opportunities, but converted 16 of those chances ... Made his playoff debut in Game 2 of the Division Series at LAD, and combined to toss 2.0 scoreless innings with five strikeouts on the series ... Earned his first career postseason save in Game 3 after a scoreless ninth. Appeared in a career-best 62 games out of the bullpen and served as the club's primary closer for the last two months of the season... Also missed 11 games on the 10-day disabled list with a right index finger strain, 7/5 (retroactive to 7/3) through 7/19... Set career-high totals in nearly every category, including innings (57.1), strikeouts (64) and wins (5)...The opposition hit .199 against him…Became just the fourth Atlanta qualifying reliever to finish with an opponent's average against under .200…Craig Kimbrel did it four times (2011-2014), while Luis Avilan (2013) and Jason Motte (2017) did it once... Limited opponents to four hits in 39 at-bats with runners in scoring positions (.103)…In these situations with two outs, held the opposition to a .050 average (1-for-20)... Used an average of 15.0 pitches per inning, seventh best among qualifying NL relievers…Was one of two qualifying NL relievers to have a K/9 rate of at least 10.0 and average 15.0 pitches or fewer in an inning…Los Angeles' Kenly Jansen was the other (14.36 pitches/inning and 14.4 K/9)…The only other reliever to accomplish the feat in Atlanta franchise history was Craig Kimbrel in 2012 (14.9 pitches/inning and 16.66 K/9)... Became the primary closer role on 7/30, and from that date through the end of the season, converted 12 of his 13 save opportunities while the opposition hit .159 against him…For the season, finished 14-for-17 in save chances, his second double-digit save season (10 in 2016)... Had two saves (9/21 vs. WSH and 9/23 vs. PHI) in which he struck out every batter he faced in the outing, becoming one of seven players with multiple such saves in 2017... Allowed a career-high seven home runs after entering the year having surrendered just six total…Eleven of the 18 earned runs for the season he allowed came via a home run…Allowed two home runs twice (4/23 at PHI and 8/26 vs. COL), marking the first time in his career he allowed multiple homers in an appearance. Appeared in a career-best 43 games despite making two trips to the disabled list…Missed 61 total games after going to the 15-day disabled list from 7/16-8/18 with a right oblique strain and then again from 8/28 through the end of the season with right shoulder inflammation...Began the year in the closer's role, converting 10 of 14 save opportunities for his first double-digit save season...Struck out at least one batter in 20 consecutive appearances, 4/14-6/5...Became the second Braves reliever with as long a streak since the franchise moved to Atlanta in 1966...Craig Kimbrel compiled three such runs (26 games, 20 twice), with the last (20 games) coming 7/19-9/17/12...Finished with a career-best 11.6 K/9 mark…Among NL pitchers with as many innings as Vizcaíno, his K/9 ratio tied for eighth best...Walked seven batters in his first 23 games, compiling a 1.52 ERA (4 ER/23.2 IP) over that stretch, 4/4-6/5…Walked 19 over his final 20 games, compiling a 9.00 ERA (15 ER/15.0 IP) and losing all four of his decisions...Allowed eight runs and seven walks with just two strikeouts over a five-game span, 6/28-7/15…Went to the DL the next day...After returning, pitched in four games and allowed eight runs, six hits and four walks before the second DL stint ended his season...Threw a career-high 35 pitches over 1.1 IP (eight batters faced) to earn the save in a 6-3 win on 4/15 at MIA… Entered with two outs and a runner on base in the eighth inning.…Marked his first career save of more than three outs...From 5/12-5/27, retired 22 of 23 batters faced with 10 strikeouts. Appeared in a career-high 36 games with Atlanta despite serving an 80-game suspension at the beginning of the season after testing positive for Stanozolol, in violation of Major League Baseball's Joint Drug Prevention and Treatment Program…Optioned to Triple-A Gwinnett on 3/30 before being placed on the restricted list on 4/2. Reinstated on 7/3 and recalled from the G-Braves on 7/6. Spent the remainder of the season on the active roster…Collected his first career save, 8/6 vs. MIA with a scoreless ninth. Earned his second one night later with another scoreless ninth vs. MIA. Finished 9-for-10 in save opportunities after taking over the closer role following Jim Johnson's trade to LAD on 7/30…32 of his 36 total appearances were scoreless. Finished the season with a 9.2 scoreless streak over 10 games…Compiled a career-best 16.2-inning scoreless streak over 16 games from 7/20-9/2. His streak ended with a run when he was one out shy of a two-inning save on 9/4 at WAS…Made his season debut, 7/7 at MIL. Stranded two inherited runners by getting a 5-4-3 DP against the only batter he faced. Also stranded a runner in his second appearance, 7/8 at MIL…Earned his first win since 2011 on 7/17 vs. CHC. Tossed a perfect inning with one strikeout…Among NL relievers with at least 30.0 innings, his 1.60 ERA (6 ER/33.2 IP) ranked fifth lowest…Limited opponents to a .133 average (6-for-45) with runners in scoring position…Stranded 9-for-10 inherited runners and retired 26-of-36 first-batters faced…Compiled a 5.00 ERA with no decisions in eight combined games at Triple-A Gwinnett, Double-A Mississippi and Single-A Rome. Arodys began the season rehabbing his arm following Tommy John surgery he underwent in Spring Training of 2012 ... had arthroscopic surgery on his right elbow in late May to clear out a calcium buildup that sidelined him for the remainder of the season - the procedure was performed by Dr. James Andrews ... on the 60-day disabled list from March 27-November 4. Arodys entered the 2012 season rated the second-best prospect in the Braves organization and the 40th-best prospect in all of baseball by Baseball America ... missed the season after undergoing Tommy John surgery on March 20 by Dr. James Andrews ... acquired by Chicago in a four-player deal on July 30...Made just one Spring Training appearance for the Braves, March 3 vs. Detroit, tossing a scoreless inning before he was shut down....Placed on the 15-day disabled list by Atlanta, March 26 ... transferred to the 60-day D.L. by Chicago, August 19. Entered 2012 rated as the second-best prospect in the Braves organization by Baseball America...Went a combined 5-5 with a 3.06 ERA between Lynchburg (A), Mississippi (AA) and Gwinnett (AAA) over26 appearances (17 starts). He logged 100 strikeouts over 97.0 innings pitched...Made his Major League debut on 8/10 at FLA after having his contract purchased from Gwinnett earlier thatday. He walked two and fanned Logan Morrison for his first career strikeout...Earned his first career Major League win on 8/16 vs. SF, offering 2.0 innings of scoreless relief in the 10thand 11th of the walk-off victory. He allowed one hit and walked one batter...Suffered his first blown save on 8/14 vs. CHI. He tossed 0.2 innings and allowed no hits, runs or walks andfanned three batters (with Blake DeWitt reaching base on a third-strike wild pitch). According to the EliasSports Bureau, since 1900, only one other pitcher posted that exact line in a Major League game (BrandonLeague for the Mariners on 5/9/2010). Entered 2011 rated as the seventh-best prospect in the Braves organization by Baseball America...Began the 2010 season with Rome (A) where he went 9-3 with a 2.34 ERA (18 ER/69.1 IP) in 12 starts before being promoted to Myrtle Beach (High-A)...His nine victories were fourth-most among Braves farmhands...Tossed 34.2 consecutive innings without allowing an earned run (5/18-6/12)...Was named Rome's Pitcher of the Month for May (5-1, 1.60 ERA)...Was named to the South Atlantic League Mid-Season All-Star team and garnered Pitcher of the Week honors for the week ending 5/24 (2-0, 14.2 IP, 8 H, 1 R, 0 ER, 14 K)...Started three games for Myrtle Beach before suffering an elbow injury which sidelined him for approximately two months - prior to the injury, he boasted a 77-to-12 K/BB ratio...Was honored by the Braves organization as Rome's Pitcher of the Year...Recognized by Baseball America as having the best curveball in the Braves farm system as well as the sixth-best prospect in the South Atlantic League following the season. Following the 2009 season, was rated by ESPN.com as the 34th-best overall prospect...Fannedseven batters in each of his first three outings (6/19-30)...Held right-handers to a .169 (14-for-83) average,while lefties hit .256 (20-for-78). Made his professional debut on 6/20 vs. GCL Indians (5.0 IP, 3 H, 1 ER, 1 BB, 3 K)...Tied for a teamhigh in starts (6)...As a starter: 1-2, 2.89 ERA and .155 (16-for-103) opponents batting average...As a reliever:2-0, 5.06 ERA and .324 (22-for-68) opponents batting average...Was named the 11th-best prospect in theGulf Coast League following the season by Baseball America. April 14, 2019 Atlanta Braves placed RHP Arodys Vizcaino on the 10-day injured list retroactive to April 11, 2019. Right shoulder inflammation. September 14, 2018 Atlanta Braves activated RHP Arodys Vizcaino from the 60-day injured list. September 5, 2018 Atlanta Braves sent RHP Arodys Vizcaino on a rehab assignment to Rome Braves. September 3, 2018 Atlanta Braves sent RHP Arodys Vizcaino on a rehab assignment to Gwinnett Stripers. July 14, 2018 Atlanta Braves placed RHP Arodys Vizcaino on the 10-day disabled list. Right shoulder inflammation. July 3, 2018 Atlanta Braves activated RHP Arodys Vizcaino from the 10-day disabled list. June 24, 2018 Atlanta Braves placed RHP Arodys Vizcaino on the 10-day disabled list retroactive to June 21, 2018. Right shoulder inflammation. July 19, 2017 Atlanta Braves activated RHP Arodys Vizcaino from the 10-day disabled list. July 17, 2017 Atlanta Braves sent RHP Arodys Vizcaino on a rehab assignment to Gwinnett Braves. July 5, 2017 Atlanta Braves placed RHP Arodys Vizcaino on the 10-day disabled list retroactive to July 3, 2017. Right index finger strain. October 3, 2016 Atlanta Braves activated RHP Arodys Vizcaino from the 15-day disabled list. August 30, 2016 Atlanta Braves placed RHP Arodys Vizcaino on the 15-day disabled list retroactive to August 29, 2016. Right shoulder inflammation. August 18, 2016 Atlanta Braves activated RHP Arodys Vizcaino from the 15-day disabled list. August 15, 2016 Atlanta Braves sent RHP Arodys Vizcaino on a rehab assignment to Rome Braves. August 13, 2016 Atlanta Braves sent RHP Arodys Vizcaino on a rehab assignment to GCL Braves. July 16, 2016 Atlanta Braves placed RHP Arodys Vizcaino on the 15-day disabled list. Strained oblique. July 6, 2015 Atlanta Braves recalled RHP Arodys Vizcaino from Gwinnett Braves. July 4, 2015 Gwinnett Braves activated RHP Arodys Vizcaino. July 3, 2015 sent RHP Arodys Vizcaino on a rehab assignment to Gwinnett Braves. July 3, 2015 Atlanta Braves reassigned RHP Arodys Vizcaino to the minor leagues. June 30, 2015 sent RHP Arodys Vizcaino on a rehab assignment to Rome Braves. June 20, 2015 sent RHP Arodys Vizcaino on a rehab assignment to Mississippi Braves. June 18, 2015 sent RHP Arodys Vizcaino on a rehab assignment to Rome Braves. April 5, 2015 Atlanta Braves placed RHP Arodys Vizcaino on the restricted list. April 2, 2015 Gwinnett Braves placed RHP Arodys Vizcaino on the restricted list. March 30, 2015 Atlanta Braves optioned RHP Arodys Vizcaino to Gwinnett Braves. September 2, 2014 Chicago Cubs recalled RHP Arodys Vizcaino from Iowa Cubs. June 19, 2014 RHP Arodys Vizcaino assigned to Iowa Cubs from Tennessee Smokies. May 7, 2014 RHP Arodys Vizcaino assigned to Tennessee Smokies from Daytona Cubs. March 30, 2014 RHP Arodys Vizcaino assigned to Daytona Cubs from Iowa Cubs. March 18, 2014 Chicago Cubs optioned RHP Arodys Vizcaino to Iowa Cubs. November 4, 2013 Arodys Vizcaino roster status changed by Chicago Cubs. March 27, 2013 Chicago Cubs placed RHP Arodys Vizcaino on the 60-day disabled list. Recovering from March 2012 Tommy John surgery. November 2, 2012 Chicago Cubs activated RHP Arodys Vizcaino from the 60-day disabled list. August 19, 2012 Chicago Cubs transferred RHP Arodys Vizcaino from the 15-day disabled list to the 60-day disabled list. July 31, 2012 Chicago Cubs traded LHP Paul Maholm and LF Reed Johnson to Atlanta Braves for RHP Arodys Vizcaino and RHP Jaye Chapman. March 29, 2012 Arodys Vizcaino roster status changed by Atlanta Braves. November 15, 2011 RHP Arodys Vizcaino assigned to Tigres del Licey. August 10, 2011 Atlanta Braves selected the contract of RHP Arodys Vizcaino from Gwinnett Braves. July 26, 2011 Arodys Vizcaino assigned to Gwinnett Braves from Mississippi Braves. May 29, 2011 Arodys Vizcaino assigned to Mississippi Braves from Lynchburg Hillcats. April 3, 2011 Arodys Vizcaino assigned to Lynchburg Hillcats from Rome Braves. February 2, 2011 Atlanta Braves invited non-roster RHP Arodys Vizcaino to spring training. August 30, 2010 Arodys Vizcaino assigned to Rome Braves from Myrtle Beach Pelicans. 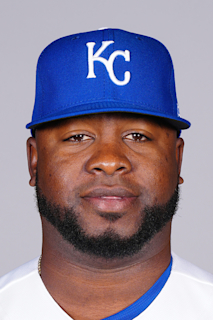 June 30, 2010 Arodys Vizcaino roster status changed by Myrtle Beach Pelicans. June 10, 2010 RHP Arodys Vizcaino assigned to Myrtle Beach Pelicans from Rome Braves. December 22, 2009 Atlanta Braves traded LHP Boone Logan and RHP Javier Vazquez to New York Yankees for cash, RHP Arodys Vizcaino, LF Melky Cabrera and LHP Mike Dunn. December 22, 2009 Staten Island Yankees traded RHP Arodys Vizcaino to Rome Braves. September 21, 2009 Arodys Vizcaino roster status changed by Staten Island Yankees. September 1, 2009 Staten Island Yankees placed RHP Arodys Vizcaino on the 7-day disabled list retroactive to August 27, 2009. June 18, 2009 RHP Arodys Vizcaino assigned to Staten Island Yankees from GCL Yankees. June 19, 2008 New York Yankees signed Arodys Vizcaino.